Nearly 164 years later, whatever direction the tracks have taken, the Indian Railways has trail blazed new frontiers and altered the very economics and social construct of the country. From the tea gardens of Nilgiris and Assam to mountain ranges of the Sahyadris and the Shivaliks, there’s no corner of India that is left untouched by the railways. And in thus connecting the dots across the Indian subcontinent, the railways present some truly incredible train journeys… In the words of musician Paul Simon “There’s something about the sound of a train that’s very romantic and nostalgic and hopeful.” Long journeys have often resulted in forging tales of life-long friendship and brotherhood among fellow passengers. Train travel presents myriad perspectives of India from landscapes of poverty, profit and pelf to awe-inspiring views of natural splendor in virtually inaccessible zones. Who can resist the vision of pristine waterfalls tumbling through dense green forests or roughhewn cliffs? Or the majesty of mighty rivers? Or the thrill of tunnels that draw gasps and hoots of fear and excitement among young and old as they are suddenly swamped in darkness? How many memories run amok about childhood journeys with lovingly packed hampers? These were picnics on the move, sharing food and life stories with complete strangers. The same Boribunder station of yesteryears (today Chhatrapati Shivaji Terminus) is the start of the beautiful Konkan Railway from Mumbai to Goa and Karnataka. A trip in the monsoons leaves an indelible imprint on the mind of any traveler. The blinding blaze of green, waterfalls lurking around corners waiting to startle you and little streams emboldened to become boisterous torrents; the transformation in the scenery brought about by the rains is unimaginable. Take the Mandovi Express or Konkan Kanya as you cross little stations like Khed, Chiplun, Kankavali and Kudal, passing through 92 tunnels, crossing 2000 bridges and presenting views of rivers, fields, forests and sea. In Goa, seasoned train travellers on the Vasco-Madgaon-Londa rail route look forward to their tryst with India’s fifth highest waterfall. As the train climbs from Mollem to Castle Rock, it passes Dudhsagar waterfall, literally ‘Ocean of Milk’ as it tumbles down the sheer rock face in two tiers from a height of 310m. Set in the Western Ghats on the Goa-Karnataka border, the mist-laden, dreamy railway bridge runs in a neat arc midway across the falls. Some passengers throw coconuts or coins as offerings from the train, much to the annoyance of picnickers below! To experience India’s western coastline, continue on the Konkan Railway via Ratnagiri to Mangalore. Or take the Karwar Yeshwantpur Express from Mangalore to Bangalore to soak in the beauty of the Western Ghats. The train veers through the legendary Green Route, a thickly forested stretch of 52km from Bisle Ghat, Kukke Subramanya and Sakleshpur. This section has 57 tunnels and 109 bridges, some almost a kilometer long and some as high as 200m! One of the most talked about rail experiences, especially among international travelers is Palace on Wheels, India’s original luxury train, launched in 1982. The concept was inspired by the royal legacy of the railway coaches. Originally personal saloons of the rulers of princely states of Rajputana, Gujarat, the Nizam of Hyderabad and the British Viceroy of India, the 23 coaches are named after former Rajput states. The interiors bear all the grandeur of blue-blooded lifestyle with posh suites, fine dine restaurants and bar on board! Starting from New Delhi, the 8-day trip covers Jaipur, Sawai Madhopur, Chittorgarh, Udaipur, Jaisalmer, Jodhpur, Bharatpur and Agra. Another exclusive experience is the Indian Maharaja Deccan Odyssey, which connects Mumbai and Delhi via Rajasthan with tiger spotting in Ranthambore and visits to Ajanta-Ellora caves and the Taj Mahal. Inspired by the success of Palace on Wheels, the luxurious Golden Chariot was launched in 2008 and named after the famous Stone Chariot at Vitthala Temple in Hampi. Dressed in regal hues of purple and gold, the eleven carriages are named after leading dynasties that ruled Karnataka down the ages. The ‘Pride of the South’ tour retraces the Wodeyar trail in Mysore, Hoysala temple architecture at Belur-Halebid, the seat of the Vijayanagar Empire at Hampi, the pinnacle of Chalukyan cave architecture at Badami and throws in a wildlife safari at Nagarahole, the erstwhile hunting grounds of the Maharajas of Mysore. The ‘Splendor of the South’ tour covers Pondicherry, the temples of Tamil Nadu at Chennai, Thanjavur and Madurai, besides a bit of Kerala with stopovers at Trivandrum, Alleppey and Kochi, before returning to Bangalore. If the western coast is picturesque, the eastern coastline is no less dramatic. Whether it is the train from Bhubaneswar to Brahmapur past Asia’s largest lagoon Chilika Lake or from Vizag to Araku Valley, the Eastern Ghats are a delight for any train traveler. Further down the Coromandel Coast, surrounded by turquoise waters, is the scenic Pamban railway bridge connecting Rameswaram on Pamban Island to mainland India. Opened on 24 February 1914, it was India’s first and longest sea bridge until the Bandra-Worli Sea Link overtook it. The most amazing feature of Pamban Bridge is its Scherzer rolling type lift span that even to this day, is opened manually using levers to let ships pass. Starting off at the confluence of three oceans, the Island Express from Kanyakumari to Trivandrum may be a short journey but is an idyllic slideshow of Kerala’s lush countryside. However, most train journeys pale in comparison to India’s Mountain Railways. Immortalized in several movies and songs that have delighted us down the decades like “Meri Sapnon ki Rani”, “Chaiyya Chaiyya” and “Kasto Maja Hai”, the Mountain Railways are a living heritage. It is for this reason the Darjeeling Himalayan Railway (DHR), Nilgiri Mountain Railway (NMR) and Kalka-Shimla Railway have been collectively designated as UNESCO World Heritage Sites. Built in 1881, the Darjeeling Himalayan Railway covers the 88km stretch from New Jalpaiguri to Darjeeling, presenting dazzling views of the Eastern Himalayas. Chugging along at 12 km/hr past tea plantations, it’s a charming journey of loops, reverses, spirals and zig-zags. Creak past the spiral at Agony Point to Ghum, India’s highest railway station and Batasia loop, as the railway line crosses main roads and runs alongside fruit stalls in its ascent to Darjeeling. On a clear day, you can see the snow-capped peak of Kanchenjunga. The Kalka-Shimla railway, built in 1903, scales the rugged Shivaliks negotiating 102 tunnels, 87 bridges and 900 curves. Tugged by the Himalayan Queen, the 96 km train ride takes 5 hours 10 minutes. On its heels, came Nilgiri Mountain Railway in 1908, the only rack and pinion railway system in India. The 46 km ride from Mettupalayam to Ooty crosses 250 bridges, 208 curves and 16 tunnels, winding past tea estates, blue mountains, churches, lakes and viewpoints. The Jammu Mail to Udhampur, a 53km stretch that marks the northernmost extent of the Indian Railways. Cleaving through 20 tunnels and 158 bridges, the train wends through the rocky Shivalik range where raging mountain rivers and valleys run deep into the Himalayan foothills. The railways are indeed a celebration of man’s triumph against geography and the forces of nature. 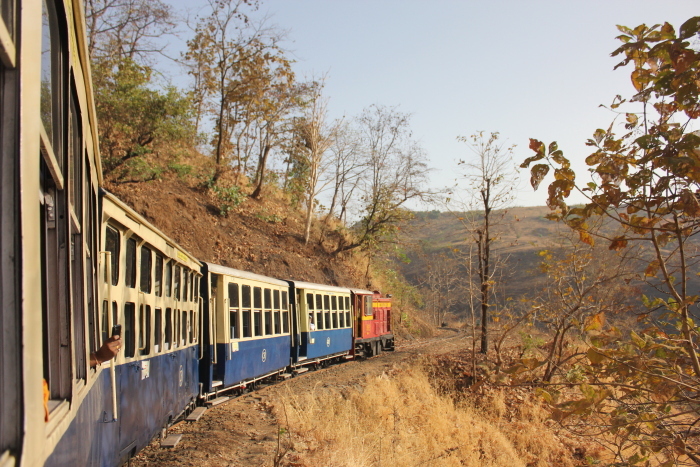 Also nominated for a UNESCO World Heritage tag is the Matheran Hill Railway. It was the brainchild of philanthropist and Bombay’s first sheriff Sir Adamjee Peerbhoy who donated 16 lakh rupees towards the project in 1901. His son Abdul Hussein Adamjee Peerbhoy completed his dream in seven years. In honour of this engineering feat, the British Government knighted Adamjee Peerbhoy. 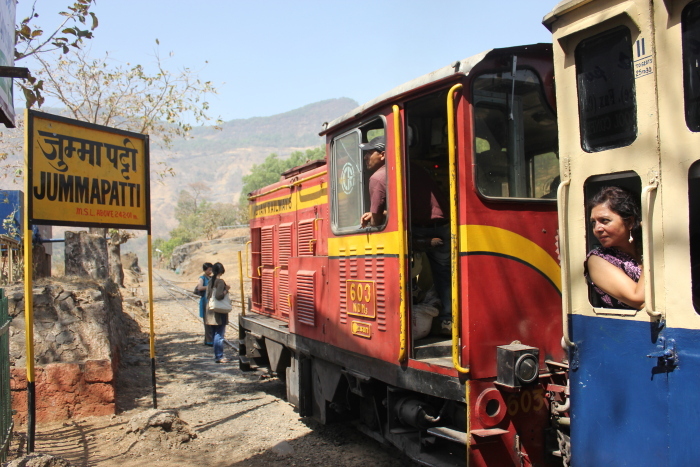 Juddering up from Neral, sometimes at walking pace, the Matheran Hill Railway covers 21km in little over two hours, tackling steep gradients and the cheeky ‘One Kiss Tunnel’, named by a British officer who found it short enough to sneak a quick peck! The train stops at Jummapatti station for a crossing and Waterpipe station to cool down the engine. Even today, the train halts at Aman Lodge railway station and toots thrice as a mark of respect to Peerbhoy. His bungalow ‘The Chalet’ located above Aman Lodge is named after his late wife Amina. Authors: Anurag Mallick & Priya Ganapathy. This article appeared on 6 August 2017 as the Cover Story in Sunday Herald, the Sunday supplement of Deccan Herald. 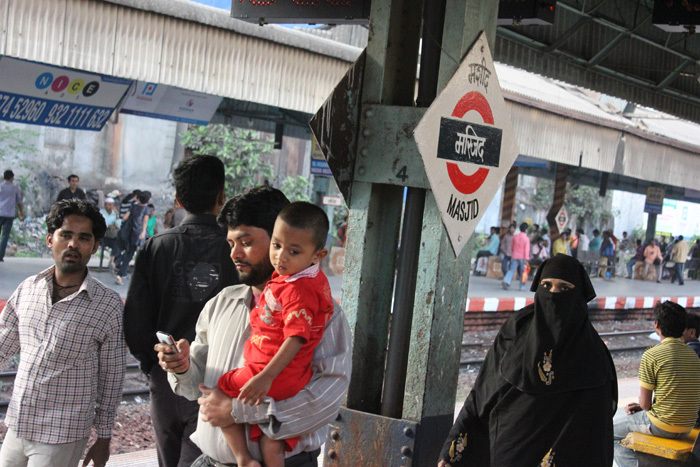 When the train announcing Karjat-CST rolled into CST station and belched out its morning mob onto the Mumbai platform like a regurgitating python, we looked like a pair of mutant migrants stepping into the train. We were exiting when the world was entering the metropolis. It was like driving in the wrong direction on a one-way. But going to a hill station that prohibited motorized transport to prevent pollution is a rare luxury. Stations whizzed by and two hours later, we hopped off at Neral. A hand slipped under the ticket counter to hand us our manually stamped Edmondson tickets for the heritage train bound to Matheran – a permit to a cleaner, greener world. 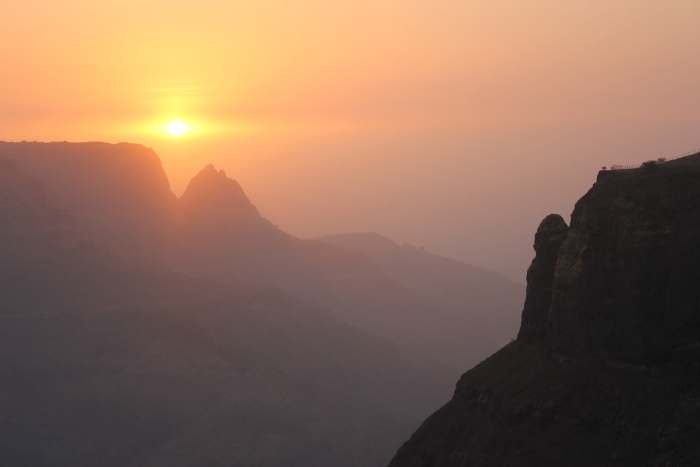 Matheran emerged as a sought after refuge in the hills for the British in the 1800s. Though the region was home to the adivasis for centuries, it was Hugh Poyntz Malet, the District Collector of Thane in 1850 who ‘chanced upon’ Matheran. Lord Elphinstone, the former Governor of Bombay, laid the foundation for its development into a hill station and sanatorium for the British. 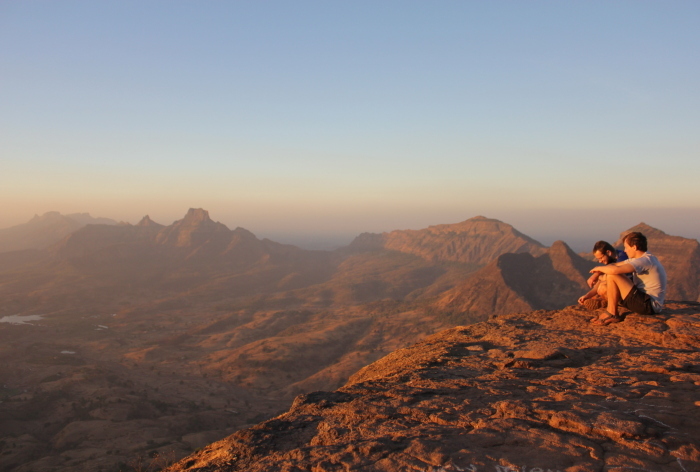 Its rugged hills and welcoming cool air provided the perfect antidote to weary British officers and their families forced to suffer the muggy sultry weather of Bombay. Matheran, which literally means ‘Forest atop a mountain’ became a holiday haven; a feature that hasn’t changed ever since. The toy train lumbers up from Neral for 20km over two hours, its bogies jangling in a merry chug-chug as mountain panoramas and valleys unfold between quaint stations and quirky tunnels. We pass a board announcing ‘Ah What a Sharp Curve’. Sometime later, a board with two parrots squawked ‘One Kiss Tunnel’. This famous dark passage was named by a British Officer as it was short enough for lovers to steal a naughty romantic kiss. At Jummapatti station we halted to make way for the Neral-bound train to cross the single track. Villagers vending snacks and fruit rushed in with woven baskets to woo passengers. Adventure seekers who trek up to Matheran along a forest trail often recount tales about the natural beauty and multitude of waterfalls around Jummapatti. Waterpipe station was the next short halt to cool down the engine. The railroad zig-zags around a scenic route that is best experienced post the monsoons, when trees are washed clean and the mountains are green. Sometimes the train would climb so slowly, one could actually hop off, walk alongside, shoot some pictures and hop back! We chugged past Mount Barry, Panorama Point and Simpson Point through a canopy of trees. A towering rock painted with the image of Lord Ganesha emerged round a bend that broke the colour tone of the surroundings with its vibrant maroon, turmeric and turquoise hues. Everyone scrambled for a picture. We learnt that the monolith was hand-painted by Rajaram Vaman Khade, our toy train’s engine driver! The construction of a railway line from the plains of Neral to Matheran was nothing short of miracle. At a time when no aerial survey could be carried out and no proper communication system was in place, one man with a vision to create an easier access, made it happen. It was philanthropist Sir Adamjee Peerbhoy, the first sheriff of Bombay who introduced the Matheran Hill Railway in 1907. He made a generous contribution of Rs.16 lakh and his son Abdul Hussein Adamjee Peerbhoy accomplished the herculean task in 7 years. Four engines from the Orenstein & Koppel Company were sourced all the way from Germany. Impressed by the success of this overwhelming feat, the British Government knighted him as ‘Sir’ Adamjee Peerbhoy. Even today, the train halts at Aman Lodge Railway Station and whistles thrice as a mark of respect to the great soul. His beautiful bungalow ‘The Chalet’ was located just above the Aman Lodge Station, which incidentally is named after his late wife, Amina. As we pulled to a stop at Matheran station in the heart of town, it was pleasantly quiet except for the twitter of birds, the neighing of horses and a straggle of porters. Declared an eco-sensitive zone, people who drive down to Matheran, have to park their vehicles at Dasturi, 2½ km away. With horses, hand-drawn rickshaws and walking the only means of getting around, Matheran was clearly designed for city folk to slow down and savour nature. The beauty of Matheran had captured the imagination of many. Its famous sights and landmarks like Lords Central Hotel find a mention in Salman Rushdie’s evocative ‘The Moor’s Last Sigh’. The overpowering influence of Bollywood was evident as we straddled Bobby and Singham, two majestic horses. Rocky, Auro and Krishh watched sullenly from afar. We gaped as a small pony called Chhota Bheem ferried a kid to school! 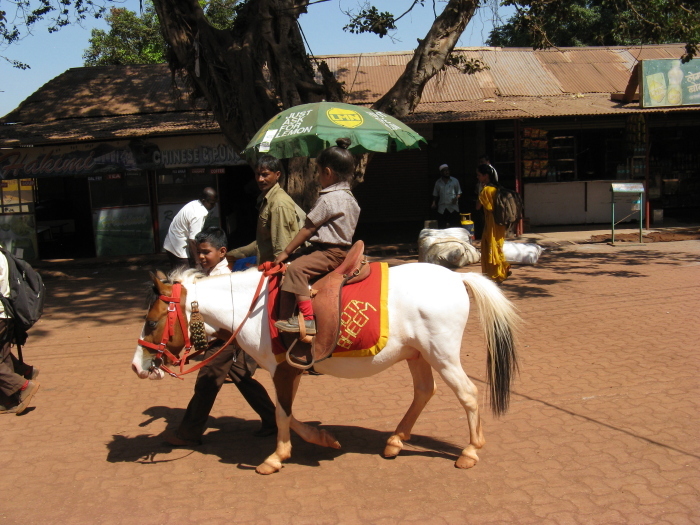 There were about 462 horses in Matheran, acquired from Nasik and Shirdi to help transport tourists. With no fear of swerving through traffic, honks, smoke fumes or traffic jams, we trotted away past the ornate arch of Kapadia marketplace. Old shops were institutions by themselves – Nariman Chikki Mart, purveyor of specialty chikkis ran a brisk business in caramelized nutty bars, fudge and jars of honey while Deepak’s Tea and Cold Drink House seemed a popular haunt. Matheran wore an old world charm with colonial buildings, old hotels and Parsi bungalows with garden sculptures in marble. Located close to the market and station was The Byke, the oldest residence in Matheran. Built in 1854, it was the home of Captain Hugh Malet and named after his favourite racehorse. Reinvented as Hotel Byke, modern rooms with more comfort had been added around the old heritage structure. We dismounted at a stand and walked past iron gates to discover a big secret hidden in a wooded estate – Neemrana’s Verandah in the Forest. 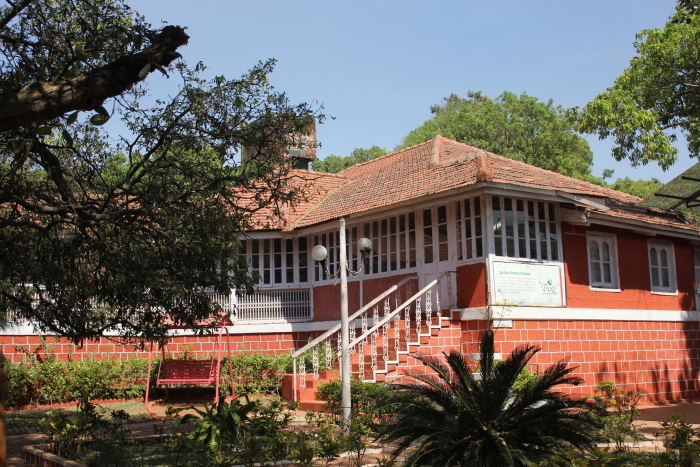 The second building to come up in Matheran, it was the former home of Captain Barr. A beautiful 2-storeyed heritage bungalow named after its charming wide verandah, its 30 ft ceiling was the highest in Matheran. Luxurious rooms bore names of prominent citizens – Jehangir, Jeejeebhoy, Peerbhoy, Kotwal, Petit, Albert Sassoon, Chenoy, Shankarshet and Kapadia. Indoor dining was arranged in Malet Hall while Elphinstone, the royal suite was located below with archival pictures of the bungalow and its renovation dressing the walls. 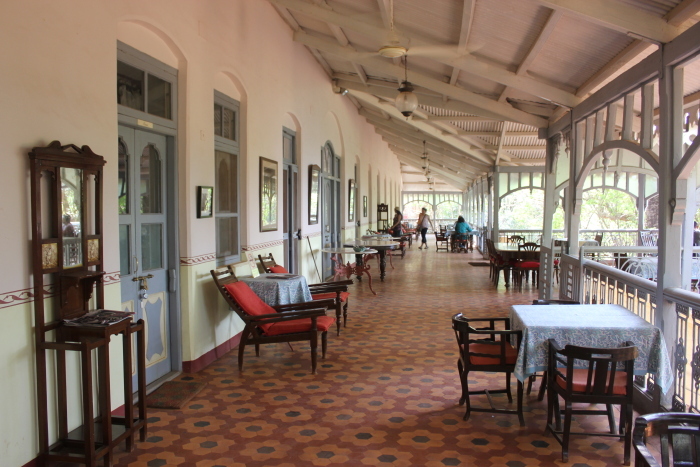 A machan for birdwatching and a regal reading room stocked with coffee table books tracing the Raj era and Parsi history, colonial décor, crockery and attentive staff on call, you could spend endless hours of relaxation despite the chattering monkeys. Armed with slingshots, the friendly staff even kept Matheran’s notorious monkeys at bay! Based on the duration of your stay, you can decide how you wish to explore the 38 scenic points marked out for a visitor. It covers the three different ranges spread across Matheran’s 8 square miles in an 18-mile circuit. We opted for a mix of foot and hooves to get the best of both worlds! The evening walk took us to the ancient Shiva shrine of Pisarnath and Charlotte’s Lake, an emerald green reservoir that was the source of the town’s drinking water. Other walkers plodded on panting tiredly as we sipped glasses of sugarcane juice and the local favorite, kokum juice by the wayside stalls. 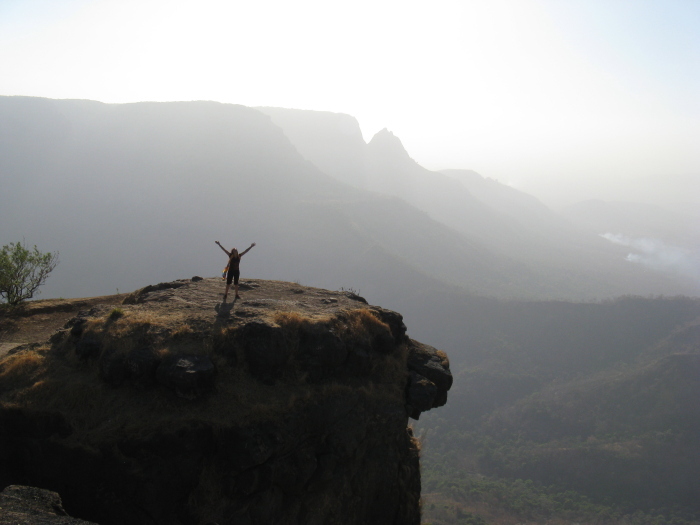 Nearby, Lord’s Point and Cecil Point (also referred to as Celia Point) afforded stunning views of the Sahyadris. We reached Echo Point at the magical hour of dusk. Across a wide open chasm, Prabal Garh was silhouetted against the setting sun that poured gold into the horizon before it sank into a V-shaped mountainscape. On our right, beyond a stunning horseshoe gorge that glowed in dusky pink tones like a half-eaten peach, we saw Honeymoon Point and Louisa Point with people miniaturized into living dolls by the distance. 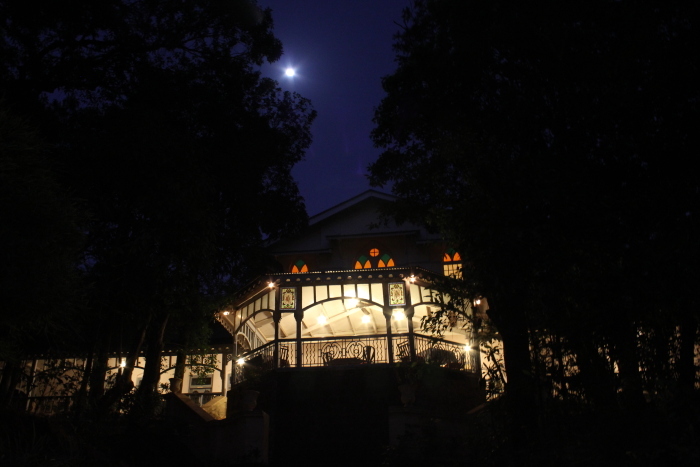 We returned to The Verandah in the moonlight for a sumptuous meal and rest as cicadas sang through the night. The next day was a 12-point horseback trail to more scenic locations. For 350 bucks, the ride across the countryside raises a muddy dust trail and halts at Matheran’s many vantage points, each riddled with odd legends. The horsemen double up as guides. “This is King George Point. Honeymoon Point is favourite of couples. Some say we get honey there. There’s also zip-line valley crossing – one is 1,300 ft starting from Alexander Point to Rambaug, another is 2000 ft from King Edward to Louisa Point,’ he rattled on. 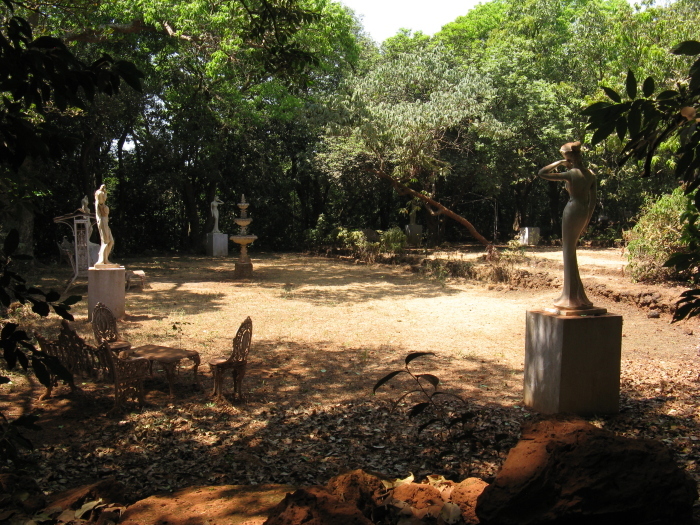 Louisa Point, the southernmost tip in Matheran’s westward range was developed by Edward Fawcett in 1853, and ranks among Matheran’s oldest spots with an English name. Just below on the right of Louisa Point, is the famous ‘Lion’s Head’ a leonine shaped rocky outcrop presenting a spectacular view. In ideal weather conditions, one can observe the lights of Mumbai beyond Prabalgarh. The historic fort was a stronghold of Maratha ruler Chhatrapati Shivaji. According to folklore, Shivaji’s agent Prabal Rao, was a staunch Shiva devotee who would often visit the shrine at Matheran’s ‘One Tree Hill’. When the region came under the influence of the Mughals, Prabal Rao’s routine visit was hampered by regular skirmishes with Mughal aide Ramaji Rao and a ferocious lion roaming in the area. It is said that Chatrapati Shivaji and Prabal Rao undertook a secret mission along a perilous route and killed Ramaji and the lion in an ambush. The risky uphill path was named Shivaji’s Ladder and the majestic crag came to be known Lion’s Head. Continuing along the northward trail we sprinted past Malang to Coronation Point, opened a year after the coronation of the King Edward VII in 1902. A vein-like meandering path with a plunging valley on one side led us to Danger Point or Janjeera which ended rather abruptly. Even expert riders and horses have missed a step and lost their lives in accidents when the spot is engulfed by mist. Crossing Rustomjee and Chenoy Point, we finally reached Porcupine or Sunset Point, the farthest edge on the western range. We dismounted near a desolate tree and hurried down a walking path heading to the precipice. It was worth it. The perch commands an expansive view of the valleys and surrounding hills and is hugely popular as the best place to savour the sunset. Far ahead of Monkey Point, Hart Point and Mary Point is another belvedere. 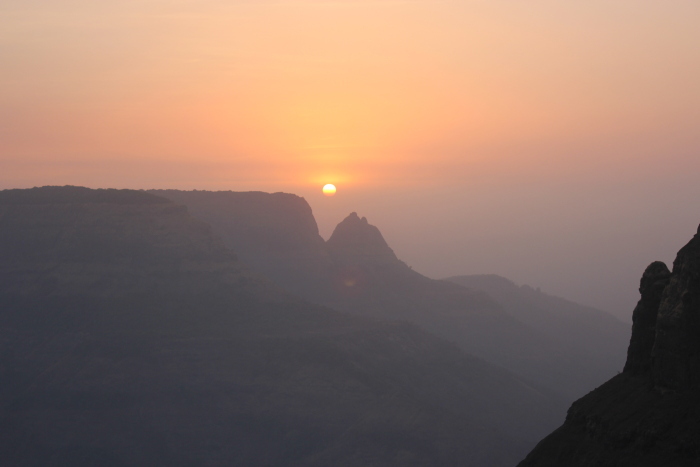 It is said that dawn unfolds at Panorama Point in a magical sunrise with all embracing view of two sides of Matheran. On May 1st 1903, Sir Adamjee Peerbhoy organized a special picnic party in honour of WD Shepherd, commissioner of the southern division and ran a special train from Matheran to Panorama Point. As the toy train inches up the tortuous track near Panorama Point, people say is impossible to figure if the train is ascending or descending. Curiously, some of the locals referred to Panorama Point as Pandurang Point. 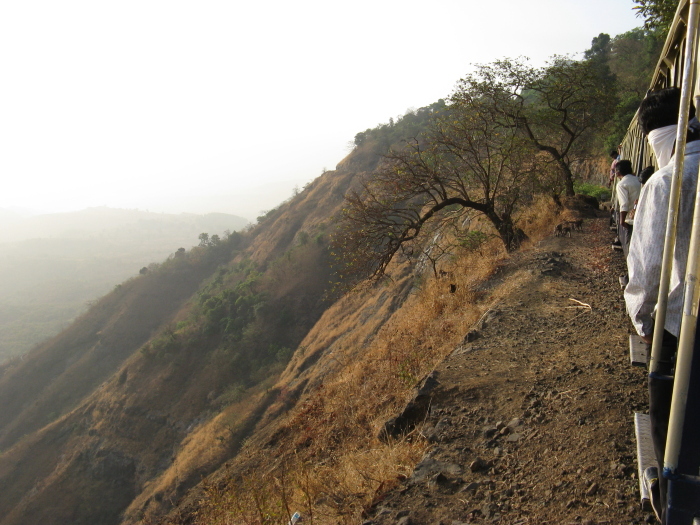 ‘Our Malet Point’ was named by Col Haigen in 1894 to honour Hugh Malet, the man who discovered Matheran. But with no board announcing this fact, people call it “Our Point”! Explore the south of Matheran past Olympia Race Course and Chowk to Alexander Point, named after the husband of Malet’s niece. Malet often walked through the dense forested tract below Rambagh down to the base of the hill. The stories didn’t stop there. We heard about the mysterious haunted ‘Red House’ and the tragic tale of a wedding party that disappeared mysteriously while travelling from Badlapur to Panvel. The spot was called Navara Naveri, referring to ‘groom and bride’. With a measly torchlight elongating our shadows, we came across several abandoned old homes, eerily silent and wrapped in various stages of decay, silhouetted in the glades. We reached The Verandah, lit up like a star, relieved that we weren’t waylaid by the spectres of darkness. The next morning, in the broad light of day we laughed when we learnt that except for a few rundown villas, most of them were lovely holiday homes with old toothless caretakers tending to the gardens awaiting the return of their rightful owners. 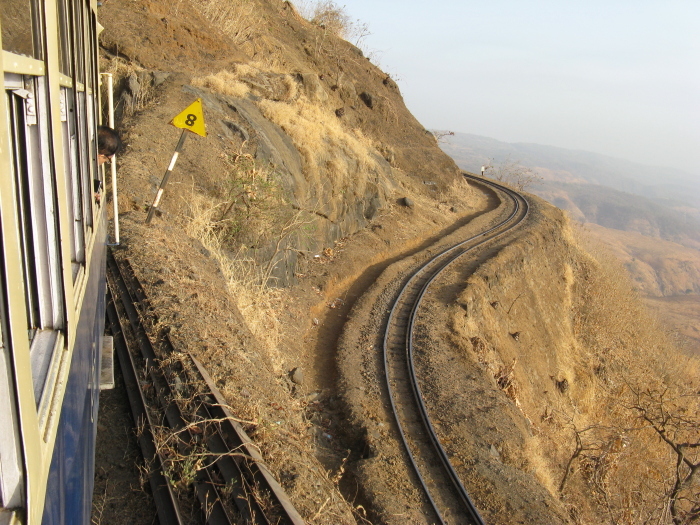 Matheran is 90km from Mumbai and about 2½ hours by road. Motor vehicles are not allowed beyond the car park at Dasturi. Besides local trains from CST, a few Mumbai-Pune express trains like Deccan Express (11007) and Koyna Express (11029) stop at Neral Junction. From here the heritage hill train takes 2 hours for the 21 km climb to Matheran. To move around, walk, ride a horse or take a hand-pulled rickshaw. Porters are available to carry luggage. Sightseeing tours on horseback are available as per 7-point, 12-point or full day tour. 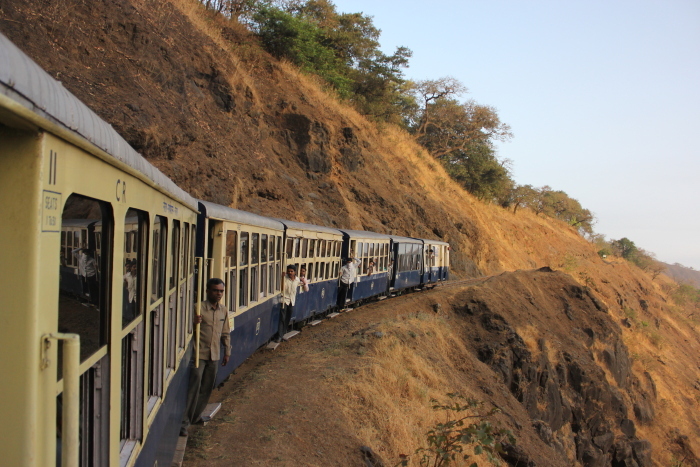 Train tickets for Matheran Hill Rail cost Rs.210 (1st Class), Rs.35 (2nd Class Reserved) and Rs.20 (2nd class unreserved). Horses and rickshaws usually cost Rs.100-200/hour but rates can be negotiated as per package. Park your car at Dasturi for Rs.35/day. Charges for entering Matheran are Rs.40 for adults. Shared taxi from Neral to Dasturi (Rs.70/person). Authors: Anurag Mallick & Priya Ganapathy. This article appeared in the November 2013 issue of Rail Bandhu, the in-train magazine of the Indian Railways. It was not the usual sultry Bombay afternoon. The scorching summer seemed more intense with the crowds milling about. Or perhaps it was the heat emanating from three brand new steam engines. 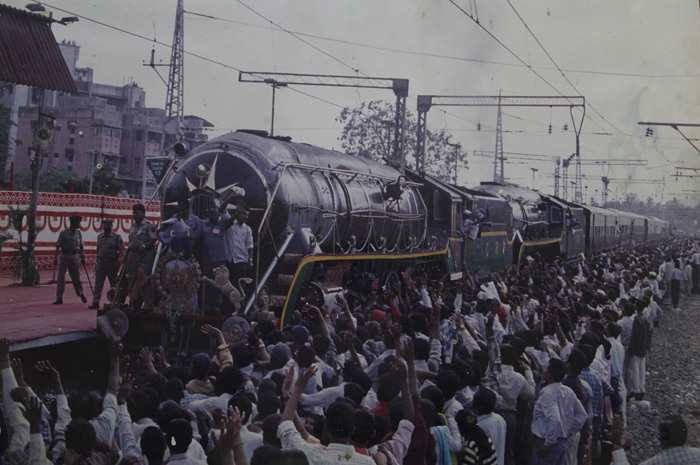 Sindh, Sultan and Sahib were belching smoke ready to tug 14 decorated coaches into history. At exactly 3:30pm on April 16th 1853, Lady Falkland, wife of the Governor of Bombay, boarded the train followed by 400 invitees, mostly royalty, zamindars, burra sahibs and other dignitaries. Amidst thunderous applause and a 21-gun salute, the train gave a long whistle and rolled out at 3:35pm from Bombay’s Boree Bunder station (later VT/CST) to Tannah (Thana). The three locomotives chugged into the countryside as onlookers cheered from both sides of the tracks under a blazing sun. The first halt was the trading post of Bycullah, presumably named after a Portuguese king. Sion, 8km away, came next and at a short distance was a halt for filling water into the engines. Covering a distance of 21 miles (33.8 km), the journey to Thane took an hour and fifteen minutes. 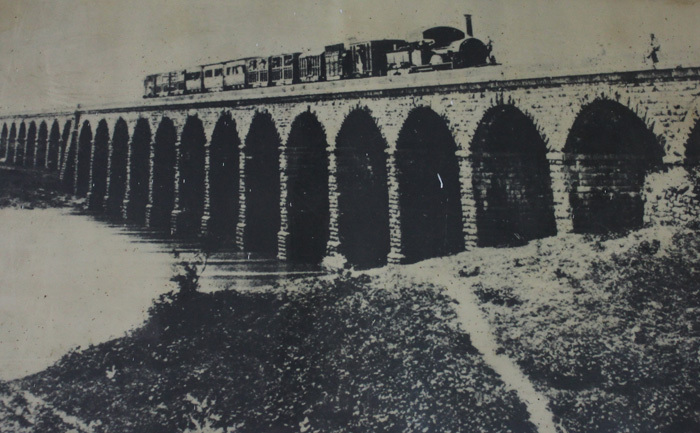 The first commercial passenger service in India marked the dawn of the Railway Age in Asia. Nearly 159 years later, we were on the 3:34 Slow from CST to Thane retracing the historic route. As if on cue, the train remained stationary for a minute and left at the magical hour of 3:35. But in place of joyous hoots of celebration and gun salutes, there was only the stoic silence of everyday routine. No smiles, no hellos, no polite talk, just the trademark Mumbai mind-your-own-business attitude. Young boys in fake Being Human t-shirts listened to the latest Salman Khan songs on their earphones, people read Marathi newspapers section by section artfully folding them like origami artists, men of all ages united in their love for sleep. It was daunting to even attempt breaking the ice. ‘Some places are named after temples’, said a somber man, looking up from his pocket-sized book of hymns. ‘Bhandup has a Shiva shrine called Bhandupeshwar while Parel is named after Parali Vaijnath,’ he added. ‘I have been in Parel all my life, there’s no such temple there.’ countered another. ‘It’s because the Portuguese destroyed it and erected St Paul’s Church, calling the place Parella’, replied the uncle testily. Before it escalated into a religious debate, Dadar’s arrival came as a handy distraction. Many of our new found acquaintances got off and a mad throng barged into the compartment as hawk-eyed men rushed to grab vacant seats. Stations whizzed past and the rest of the journey was spent admiring the scenery outside. Before our return journey, we crossed the first railway bridge in India constructed over Thane creek in 1854, when the line was extended to Kalyan. However, we were keen to track down the engine driver Rajaram Vaman Khade, who handled the train’s controls in 2002. We finally found him at Neral, just short of Karjat, as he geared up to ply another historic route – the Matheran Light Railway. Lauded by the state government for his contribution, Rajaram proudly displayed his certificates. ‘It was one of the proudest moments of my career,’ he said. ‘Running the toy train is quite different from the Express trains as you do just 20kmph, but it requires a lot of skill. Come after the rains,’ he said with a twinkle and sounded the horn. Back at CST, we were allowed to enter the hallowed portals of the Great Indian Peninsular Railway, today the Central Railways office. Stately hallways were lined by GIPR’s 6 ft tall John Walker clocks made of gun metal that needed manual winding once a week. Chief PRO AV Malegaonkar elaborated on the historical background of the inaugural passenger service. The earliest proposal for a railway line in India was mooted for Madras in 1832, just seven years after the world’s first railway engine was devised, based on James Watt’s steam engine. The plans didn’t materialize until Governor-General of India Lord Dalhousie conceived the possibility of connecting the length and breadth of India through rail in 1843. 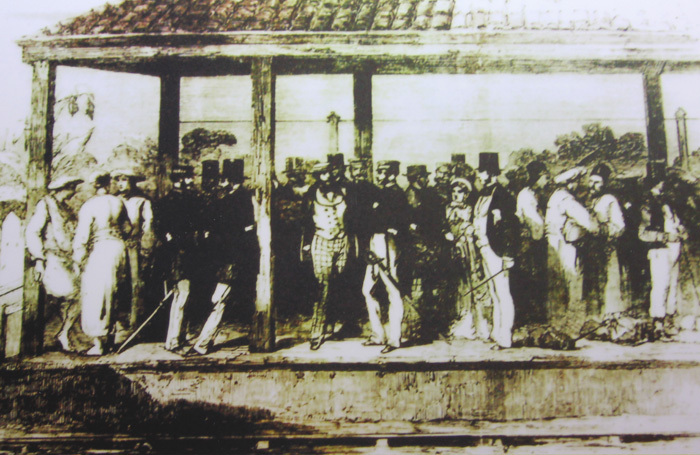 After a preliminary study to link Mumbai port to districts across the Western Ghats, the first proposals for construction of railways in India were presented in 1844 to the East India Company in London. The Great Indian Peninsula Railway (GIPR) proposed a railway line for Bombay Presidency while East Indian Railway (EIR) pitched for Calcutta Presidency. An experimental line from Howrah to Pandooah was discussed in July 1850 but constructing a 53m long bridge across the Hooghly River proved daunting. What swung the deal in Bombay’s favour was intense lobbying from Liverpool’s business cartels to exploit Bombay’s lucrative cotton market. Thus, the first railway line stretched from Bombay’s dockyards to Thane, the site of a 16th century Portuguese fort acquired by the British. Work began in 1851 with 10,000 workers toiling night and day to complete the job before time in just 25 months at 20% less than estimated cost. 16th April 1853 was appointed as Inauguration Day, an event so significant that the authorities declared it a public holiday. In May 1878, the GIPR commissioned a virtual greenhorn to construct their administrative and station offices. The consulting architect Frederick William Stevens, all of 29, built the edifice over a decade at a cost of £50,000. The design was Late Italian Medieval Gothic and the building was named after Queen Victoria during the 1887 Golden Jubilee Celebrations. 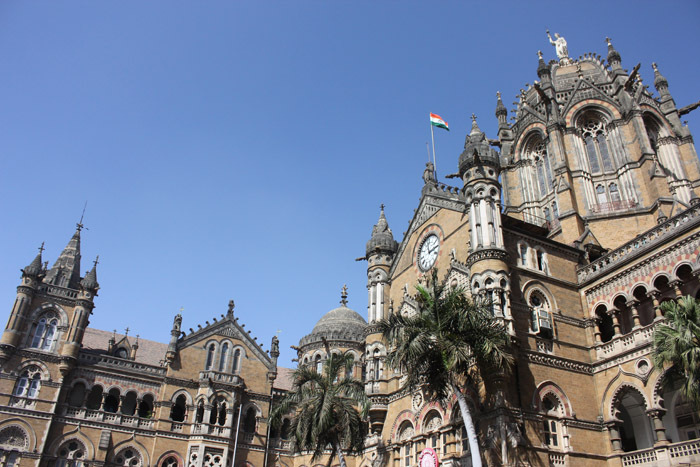 Though renamed as Chhatrapati Shivaji Terminus (CST) in 1996, locals still called it by its old name VT (Victoria Terminus). 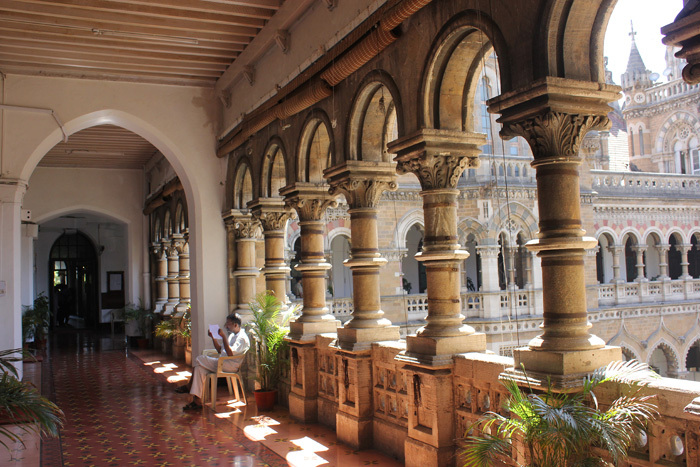 The building was an architectural marvel rich in sculptural detail – peacock windows, unique gargoyles, with lion and tiger forms representing the United Kingdom and India. Two panels on the side columns depicted different headgears of the time. The facade bore large bas reliefs of the ten directors of GIPR, including two Indian luminaries Juggonathjee Sunkersett and Sir Cursetjee Jamsetjee Jeejeebhoy. Crowning the dome was a 16’ 6” statue of ‘Progress’, a lady carrying a flaming torch. On 7 July 2004, UNESCO recognized the building as a World Heritage Site. 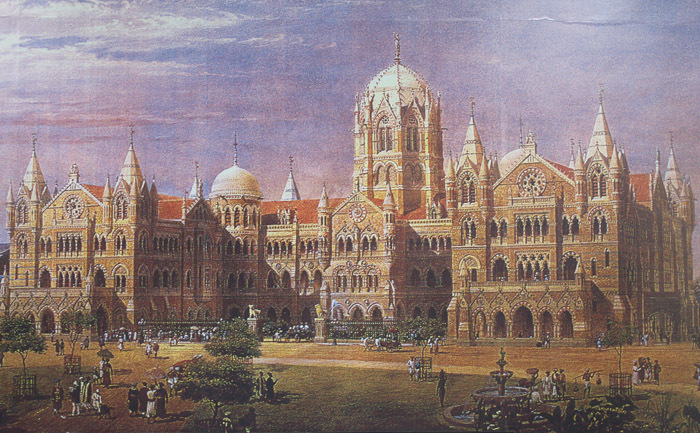 Well over a century later, CST handles 3 million commuters of suburban traffic each day. Nearly 7000 stations of the Indian Railway network are spread over a route length of 63,000 km. And Lord Dalhousie’s famous words in 1848 seem rather ironic, “No one can safely say whether railways in this country will earn or not”. Authors: Anurag Mallick & Priya Ganapathy. 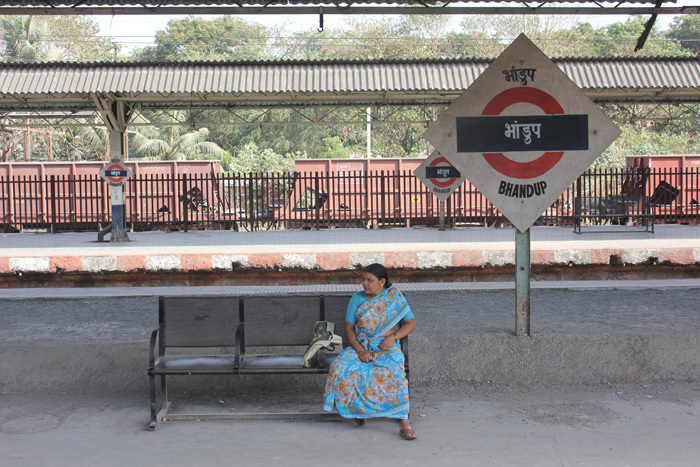 This article appeared in the April 2012 issue of Rail Bandhu, the Indian Railways magazine. 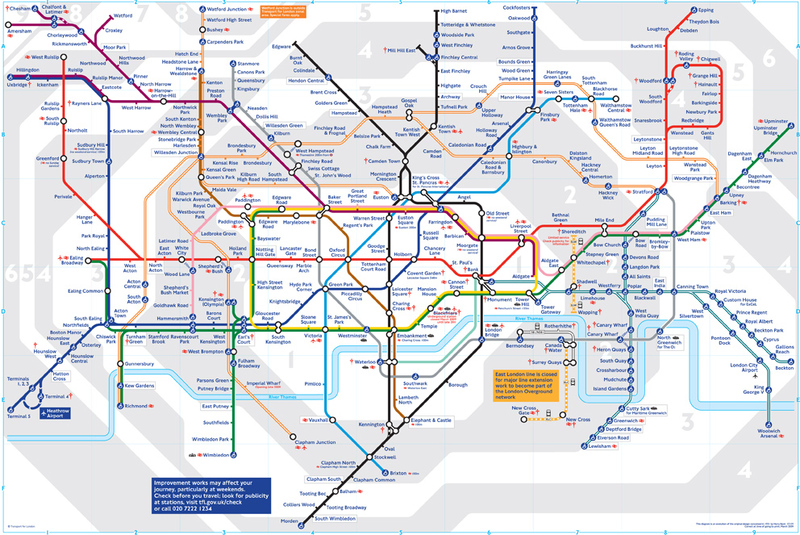 The London Underground carries 4 million passengers every day across its 12 odd lines. 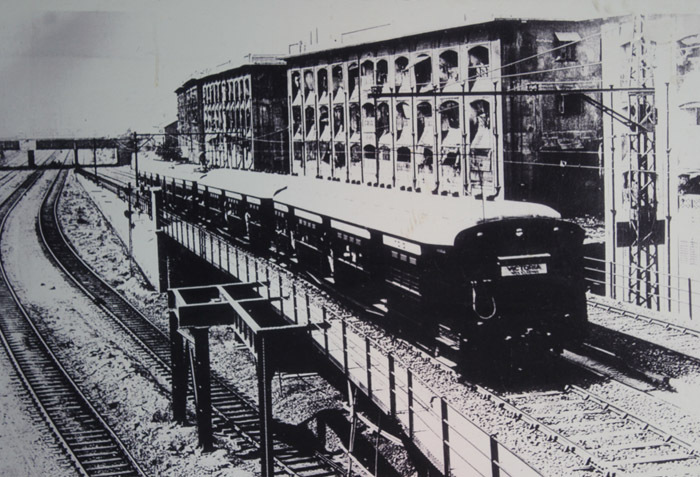 But like the Mumbai local, few have the time to pause and think about the city’s legendary carrier. Smart-dressed teens glued to their smartphones, women with bursting shopping bags from Primark, sombre office-goers in grey business suits engrossed in the Evening Standard, pickled men returning home late, nervous tourists poring over a map of the Tube or buskers in tunnels looking for a penny, the story of London’s Underground is somewhat lost in the babble of Dutch, French, German, Russian, Italian, Egyptian, Cantonese, Arabic, Irish and a myriad tongues that constitute London’s terra lingua. It’s only when you slow down a bit, that you notice the nuances of the London Underground and just how seriously it takes itself. 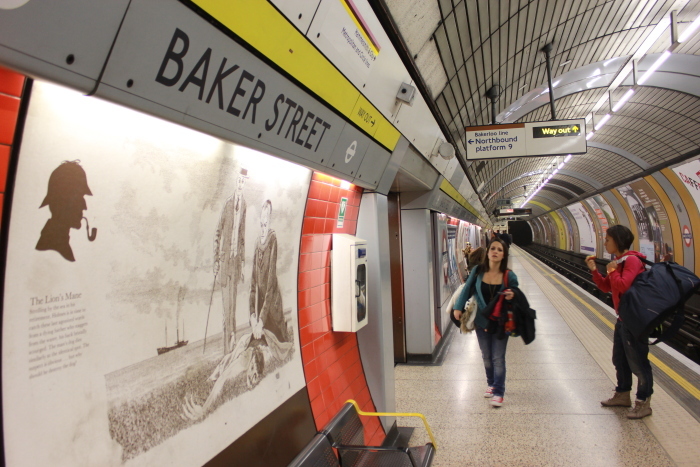 At Baker’s Street station, the tiles bear the familiar deerstalker cap and pipe outline of the legendary detective Sherlock Holmes. Etched on the platform walls are black and white illustrations of some of his famous cases – The Lion’s Mane, The Red Headed League, The Sign of Four, The Hound of the Baskervilles and The Solitary Cyclist. At South Kensington station on the Picadilly Line, the designs are based on the architectural detail of Natural History Museum nearby. 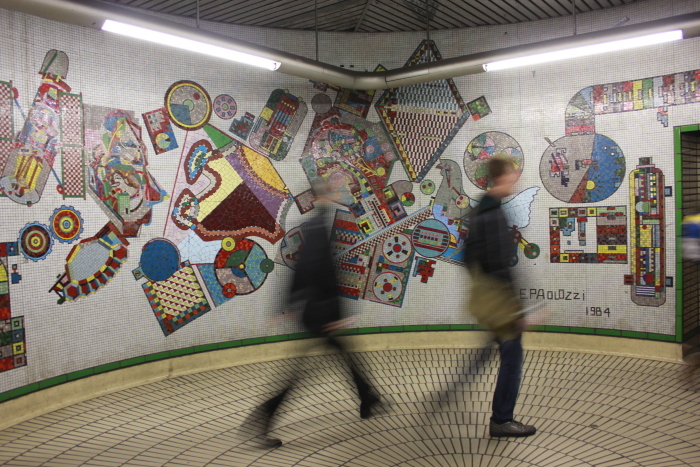 Tottenham Court Road has funky digital mosaic tile-art by Italian artist E Paolozzi, done in 1984. Gloucester Road on the District Line has colourful graphics of the famous Big Ben dial by artist Sarah Morris. 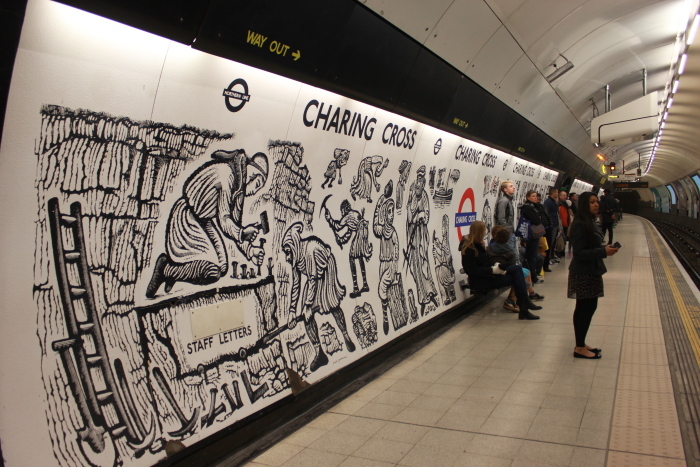 On the Northern Line platforms of Charing Cross are evocative 350 ft long black and white murals showing medieval workers building the original Charing Cross erected by King Edward I when his wife Queen Eleanor of Castile died in 1290. Twelve Eleanor Crosses were erected at places where her body rested between Lincoln and Westminster Abbey. The name Charing is perhaps a corruption of Chere reine or ‘Dear Queen’ in French. All the 12 original crosses were demolished but just outside the station stands a replica created by Barry and Earp with 8 standing, crowned statues of Eleanor marking the slender, delicately carved monument. David Gentleman, famous for designing British postage stamps, carried out extensive research into 13th century engraving techniques, before designing 50 separate wooden blocks for Charing Cross station. Each block measured just 4 inches and was enlarged into 6 feet high prints impregnated on panels in such a way that the visual story was broken by the gaps for entrance and exit passageways. Such fascination with the Underground and meticulous approach is not new. Though the St Pancras station was designed like a 13th-century cloth hall in Ypres and the Liverpool Street station resembled the floor plan of a Gothic cathedral (in place of the altar was the canteen! ), the Tube’s designs were quite modern with a timeless appeal. When the first Underground link, the Metropolitan Line from Paddington to Farringdon opened on 9 January 1863, nearly 40,000 people used it on the first day. 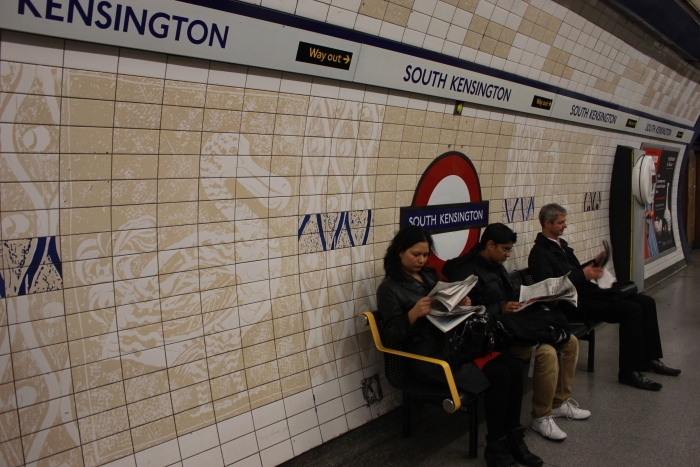 The white glazed tiles used in the early Tube stations had a dual benefit – they increased illumination and were quite easy to clean in the sooty smog of Victorian London. The idea of using coloured tiles was filched from the New York subway and not surprisingly the person behind it was a Yankee crook! After being chased out of Chicago for corruption, Charles Yerkes raised money through American syndicates to finance the expansion of the Tube. Not only did he electrify and beautify it, he introduced sliding doors and hanging straps. Yerkes also commissioned local companies to make the famous 9 by 3 inch coloured tiles in green and cream. The Underground also toyed with other hues – Caledonian Road station had tiles in three shades of plum; Hyde Park Corner was brown with pale yellow details while Kensington Road had gold and dark blue. In the Edwardian era, 40 new stations were built in 1906-07 as per a standard design, with ox-blood, glazed-brick exteriors on steel frames. But it was a few administrative geniuses, free-spirited architects and designers who made the Underground truly iconic. In 1912, a commercial manager named Frank Pick encouraged artists and printers to give an Art and Craft look to modern technology, termed ‘medieval modernism’, which gave birth to the distinctive Tube posters. In 1931 Harry Beck in his spare time scribbled a rail grid that was geographically not to scale but really simplified and aesthetic. When he offered his version of the Tube map to the Underground’s publicity department, the management paid him just 10 guineas, sat on it for two years, and finally released it, to popular acclaim! The Pocket Tube map is updated and reprinted twice a year so a new cover is required each time. As part of Art on the Underground, 15 contemporary artists were commissioned to present their own interpretation and perspective of the world famous map. Jeremy Deller and Paul Ryan featured a portrait of John Hough, the longest serving member of staff with 45 years of service. Dryden Goodwin did 60 portraits of the Jubilee Line staff. Liam Gillick used colorful text to mark the last day that London existed without the Tube network in 1863. 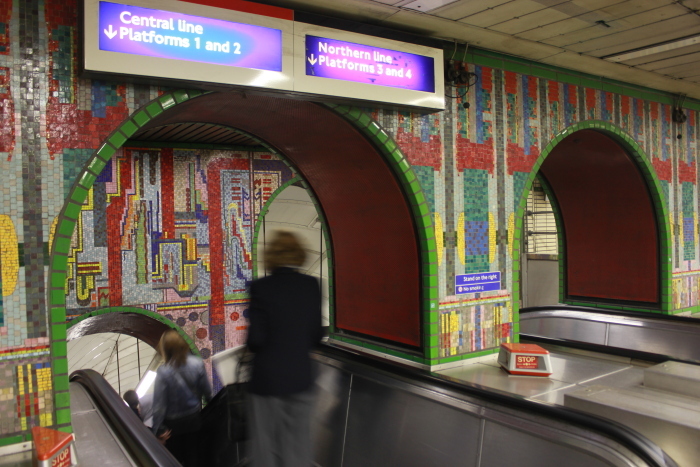 Cornelia Parker, Yinka Shonibare, David Shrigley, Emma Kay and most other artists made interesting use of the main colours used to represent the different lines in the Underground. Today, the Tube mania has gone overground with Mind the Gap fridge magnets, London Underground t-shirts, art prints and other souvenirs. 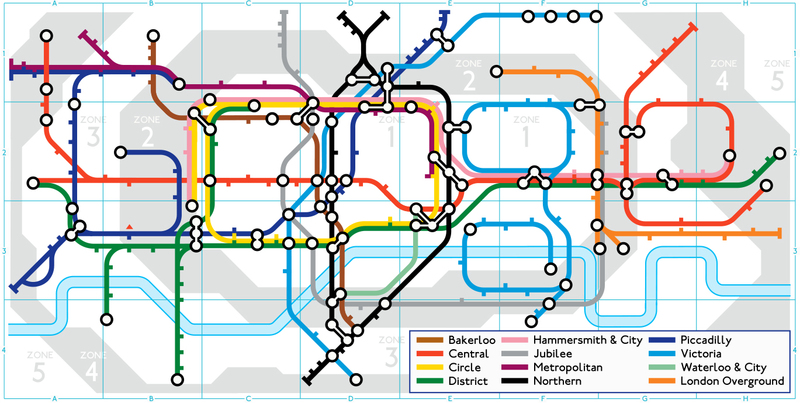 Even the Google Doodle celebrated 150 years with the search engine’s name spelt out like different coloured lines on a map of the Tube. So the next time you pore over an Underground map or get on the Tube, remember it’s more than an art movement, it’s art in movement. Authors: Anurag Mallick & Priya Ganapathy. This article appeared on 27 Jan 2013 in the Sunday supplement of Deccan Herald newspaper. The steady clip-clop of horses, reminiscent perhaps of an old OP Nayyar song, could be heard from the moment we hopped off the slow train to Matheran. Just under 100km and a few hours from Mumbai, the hill retreat was established by the British in the upper reaches of the Sahyadris to escape the burning heat of the plains. Literally ‘A Forest atop a Mountain’, Matheran was a wooded Eden meant for leisurely walks, romance and rides into the sunset. What made it truly unique was that it was the only hill station in Asia where private vehicles were banned. The chief modes of transport were horses, manually drawn carriages, bicycles or foot. In an age of mechanized mayhem, the only motorized sound we could hear was the hum of an airplane 30,000 ft above in the sky. How and when the grazing ground of adivasis like the Thakur, Dhangar and Kathkaris became a posh retreat for wealthy British officers and Parsi businessmen is anybody’s guess. But records mention that Matheran was ‘discovered’ by Hugh Poyntz Malet, the former District Collector of Thane in 1850. Lord Elphinstone then Governor of Bombay laid the foundation for its development into a hill station and sanatorium for the British. But it was Sir Adamjee Peerbhoy’s introduction of the Matheran Hill Railway in 1907 (later accorded a World Heritage status by UNESCO) that made the journey as special as the destination. As we clutched our manually stamped Edmondson tickets, the train chugged up 20km from Neral over two hours, hugging the curves of mountains, gorges and valleys. We slipped into the fleeting darkness of One Kiss Tunnel, cheekily named by a British officer, as the length of the tunnel offered just enough time to steal a romantic peck. We halted at Jummapatti station for the downward bound train to cross us on the single track. A few hawkers sold berries, meetha imli and other stuff to passengers who seemed more interested in clambering on the engine and getting photographed on the train. Waterpipe our next stop was where the engine was cooled. A little later, around a curve, a massive image of Lord Ganesha, vibrantly painted on a boulder suddenly appeared out of nowhere. 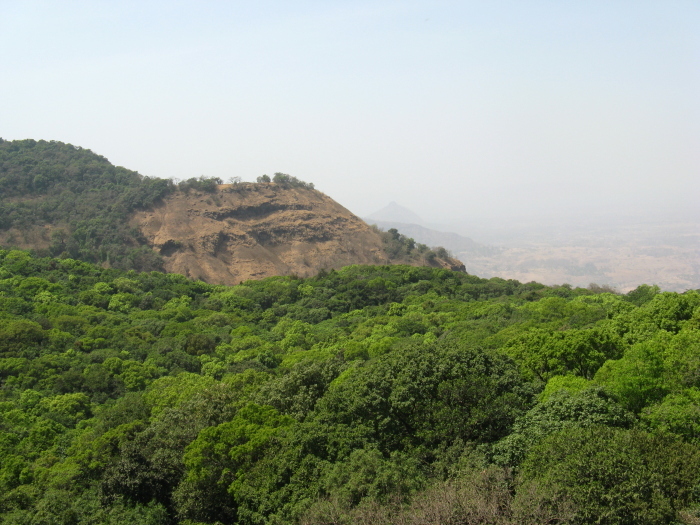 Mount Barry, Panorama Point and Simpson Point slid by as lush forests spread like glinting sheets of emerald as we pulled into Matheran station in the heart of town. 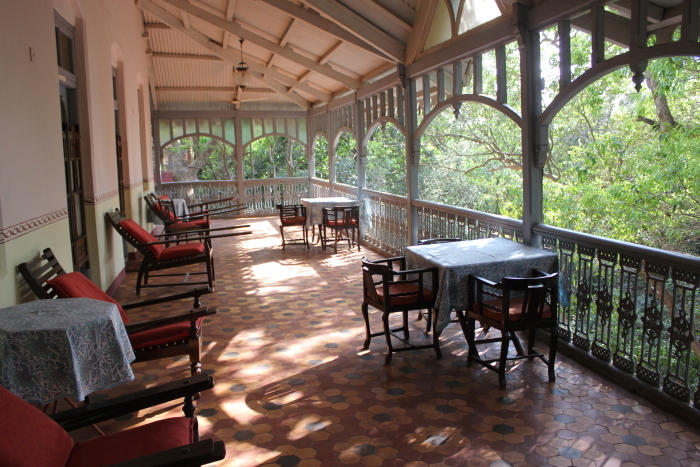 Neemrana’s The Verandah in the Forest, the former home of Captain Barr, was the second bungalow to be built in Matheran. A beautiful heritage property, the white, colossal two-storeyed structure was set in a wooded patch with a pretty wraparound verandah overlooking Prabal Garh. At 30 ft, it boasted the highest ceiling in Matheran. The spacious rooms were named after prominent Parsis and citizens – Jehangir, Jeejeebhoy, Peerbhoy, Kotwal, Petit, Albert Sassoon, Chenoy, Shankarshet and Kapadia. Malet Hall served as the dining area whereas the royal suite Elphinstone was on a lower level alongside ‘before and after’ photographs of Neemrana’s renovation efforts. The regal reading room, colonial décor, polished crockery and attentive staff ensured that we got a true taste of a Burrah Sahib’s luxurious life. 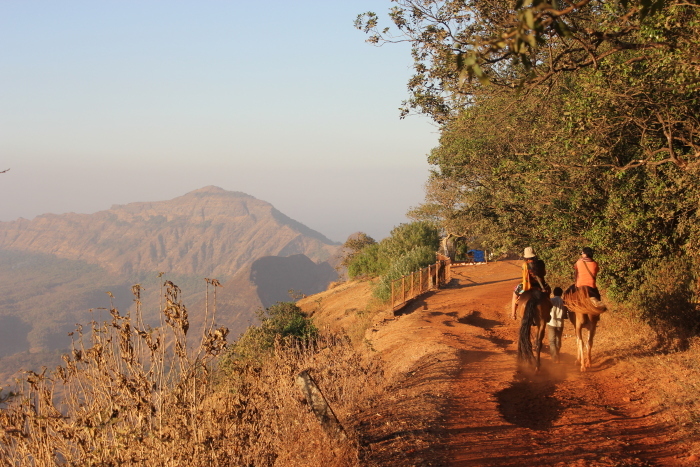 As an Englishman observed years ago in the 1924 Handbook to Matheran ‘Roaming and riding seem to be the main business at Matheran.’ The 38 scenic points were spread across three different ranges covering an area of 8 sq miles and an 18-mile circumference. Each site bore an intriguing name, often attributed to a geographical position, natural feature or some individual of note. In the magic glow of the late afternoon sun, we strolled across to the shimmering Charlotte’s Lake. Juice stalls ran a brisk business as tired visitors, unaccustomed to walking, stopped for a breather. Monkeys trapezed in the trees around the ancient Pisarnath (Shiva) Temple. After a brief stop at Lord’s Point and the elevated Celia Point, we came to Echo Point, which opened into a deep valley that bounced off every shout. The deep gorges and craggy reddish rock acquired a mesmeric beauty as the evening softened, painting them in colours of dusk. A group of Parsis and foreigners sitting quietly on park benches shushed a loquacious Gujarati expat to watch the sunset in silence. As if on cue, the red sun dropped down a perfect V-shaped silhouette of Prabal Garh with the uncanny outline of the Indian peninsula! Silvery moonlight filtered through the canopy as we returned for a hot shower, a sumptuous meal and restful sleep at The Verandah. 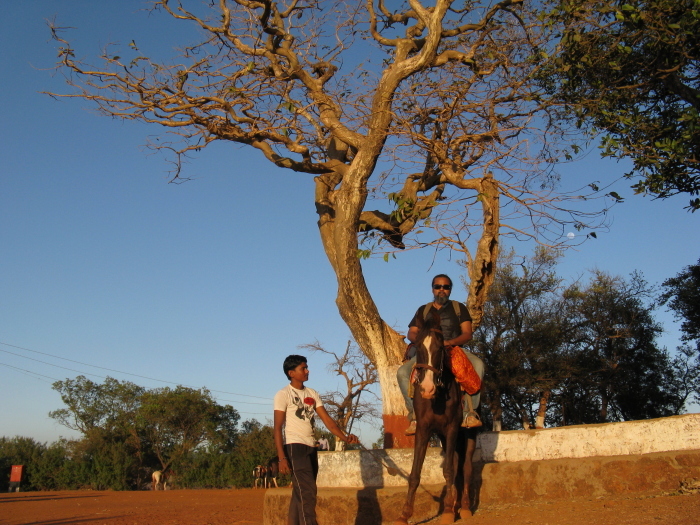 We realized in Matheran, you learn to leave your cars and cares behind. At dawn, we hopped over to the tree house for some birdwatching and after a hearty breakfast, headed to The Byke, Matheran’s oldest bungalow built by Captain Hugh Malet and named after his favourite racehorse. The original bungalow was intact with five heritage rooms while The Byke had developed into a popular resort. After a delicious lunch near the bazaar we went on a 12-point horseback tour (Rs.350) to the famous lookouts. A frisky black racehorse called Rocky waited impatiently while his more sagely partner Bobby stood majestically as we slipped our feet gingerly into the stirrups and grabbed the reins. Santosh who trained horses as a kid took pride in how the animals responded instantly to his low whistle. “I earn Rs.250-300 for the 7km ride from Dasturi car park to town. That’s the nearest place for any motorized transport. The only vehicle here is an ambulance,” he said with a smile. Lakshman, another guide said, ‘Jaisa gaadi showroom se nikal ke ata hai, ghoda bhi waise hi milta hai.’ We learnt there were about 462 horses in Matheran, procured mostly from Nasik and Shirdi. They are about 2-3 years old and cost Rs.25,000-40,000 for a gauti (country) or Rs.50,000-80,000 for Sindhi, Marwari, Punjabi or Kathiawari, which is like an all-terrain vehicle better suited for colder climes like Matheran. Arab horses didn’t fare well here. We trotted past King George and Landscape to Honeymoon Point, which was linked by an exciting zip-line Valley Crossing to Louisa Point, the southernmost extremity of Matheran’s westward range. Developed by Edward Fawcett in 1853, Louisa was one of the oldest points and the earliest to receive an English name. The vertigo-inspiring vantage overlooked a deep valley and a rocky outcrop in the shape of a Lion’s Head. On a clear night, one could look beyond the historic Prabal Fort to see the distant lights of Mumbai! As per a romantic legend, Prabal Garh was once the stronghold of Maratha ruler Shivaji and guarded by his deputy Prabal Rao. Being a devotee of Lord Shiva, he prayed regularly at the old Shiva temple near One Tree Hill, named after its lone tree. However, Matheran was under the control of his adversary and Mughal lackey Ramaji Rao, who wielded strange powers over a ferocious lion. This made Prabal’s daily visit arduous. One day, Prabal Rao aided by Shivaji, launched a surprise attack and killed the lion and Ramaji. The precipitous route he took came to be known Shivaji’s Ladder and the Lion’s Head was linked to this legend. The northward trail continued past Malang to Coronation Point, created in 1903 to commemorate Edward VII’s coronation. Laxman regaled us with anecdotes of how the locals thwarted the Ambanis’ plan to take over Matheran after they bought properties like Rugby Hotel and Gulmohar. ‘The impounded vehicle in the police station belongs to Nita Ambani’ he smirked. The saddle of a frisky horse wasn’t the best location to hear about the tragic tale of a skilled rider who lost her balance and fell off the cliff, along with her horse. Danger Point or Janjeera, a narrow path with a deep valley on one side, got its name from the grave danger of falling off the cliff because an ocean of mist filled the valley, making things invisible. We finally came to Porcupine or Sunset Point, the farthest extreme on the western range. The spectacular precipice afforded a breathtaking view with smoke billowing out of chimneys in a Thakar settlement down below. With the southern circuit of Olympia Race Course, Alexander Point, Rambag and Chowk still on our list, we rued our impending return to Mumbai. At the busy bazaar area, we bought the famous Nariman chikkis and fudge, finally settling for a moonlit dinner at The Byke. A brisk morning walk led us back to the station and our train huffed out at 7am. Engine driver Rajaram Vaman Khade invited us over to ride in the engine. 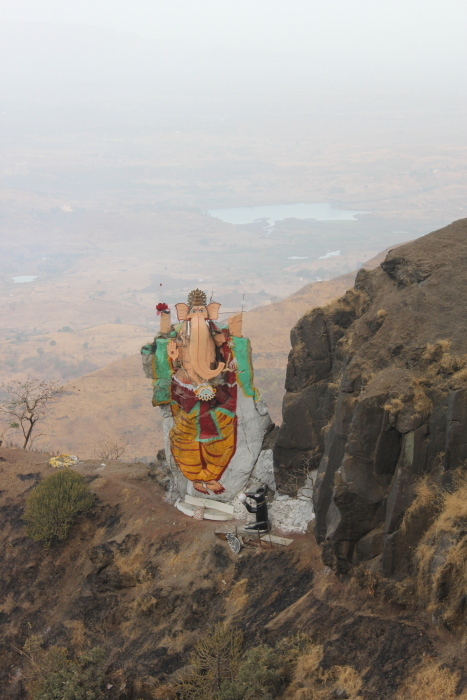 Co-incidentally, the Ganesha rock painting we saw enroute was made by him, taking time out of his busy schedule. He stalled the train at the temple for a brief prayer and rang the bell before hopping back on the train. We learnt Alexander Point was named after the husband of Mr. Hugh Malet’s niece. Rambagh overlooked a dense forest of tall trees and Mr. Malet used the path to the foot of the hill on his return from Matheran. Navara-Naveri (or newly wedded couple) got its name after a wedding party travelling from Badlapur to Panvel mysteriously disappeared enroute. ‘You must come in the rains to fully enjoy the beauty of Matheran, when the landscape is lush green and small waterfalls criss-cross the tracks. Even though the train service is suspended in the monsoon, one train runs daily to inspect the tracks. You can ride with me!’ As we made our descent, we looked dejectedly at what we were leaving behind – clean air, peace and the rejuvenating spirit of Matheran. The only things that stuck were memories of stunning views and red dust on our clothes and shoes. Authors: Anurag Mallick & Priya Ganapathy. This article appeared on 24 June, 2012 in the Sunday edition of Deccan Herald newspaper.